Fat cells, or adipocytes, regulate body temperature and energy consumption but they can also cause illness. The prizewinner is studying how different fat cells develop, how they work, and how this effect can be adopted to improve health, especially in old age. Professor Tim J. Schulz from the German Institute of Human Nutrition (DIfE) in Potsdam-Rehbruecke will today receive the €60,000 Paul Ehrlich and Ludwig Darmstaedter Prize for Young Researchers for 2018 in the Paulskirche in Frankfurt. The biochemist is receiving the award for his basic research on the development of white and brown fat and on their effects on health and nutritional physiology. Schulz showed how stem cells produce white and brown fat and how white fat harms bone health in old age. Furthermore, he demonstrated that a class of drugs often used in the treatment of diabetes also reduces the harmful effects of white fat cells on bones. These medicines may improve bone health among elderly people. „The work of Tim J. Schulz addresses the highly topical issue of adiposity,“ wrote the Scientific Council in substantiating its decision. „Schulz not only takes into consideration the negative effects of white adipose tissue but also examines whether adiposity and the diseases it fosters can be prevented by the targeted production of more brown adipose tissue and the role of nutrition during this scenario.“ The Paul Ehrlich and Ludwig Darmstaedter Prize for Young Researchers will be presented by Professor Thomas Boehm, Managing Director at the Max Planck Institute of Immunobiology and Epigenetics in Freiburg and Chairman of the Scientific Council. Brown and white fat cells, like all the body’s other cells, descend from stem cells. Brown fat, though, derives from specialized brown fat stem cells dedicated to that purpose. It was once believed that only neonates and young children had this invaluable resource, but that is not the case. Adults have brown fat, especially in the upper body, in particular along the shoulder blades, in deep regions of the neck, the large blood vessels, and along the spinal column. Schulz studies the development of brown fat cells from stem cells and was part of a team that showed that their formation can be controlled by a special signaling molecule. This fits in with a well-known approach of combating adiposity by increasing the amount of brown fat. This approach aims to convert the unnecessary calories to heat in the brown fat deposits rather than storing them in the white fat deposits. Brown fat could thus be a weight loss treatment. Schulz also showed that the brown fat stem cells lose their capability to create more brown fat during aging. He identified the relevant aspects and target molecules of this aging process and hopes that some of them can be used therapeutically. Tim J. Schulz (39) was born in Northeim, Germany, and studied biochemistry at Potsdam University. He received his PhD in 2007 under Professor Michael Ristow at the Friedrich Schiller University in Jena. He was awarded the Dissertation Prize of the Biological-Pharmaceutical Faculty for his thesis. On completing his PhD, Schulz spent five years at the Joslin Diabetes Center in Boston, which is part of the Harvard Medical School. He worked there with Professor Yu-Hua Tseng in the Department of Integrative Physiology and Metabolism. From 2012 to 2016 Schulz headed the Emmy Noether Young Investigator Group „Adipocyte Development“, sponsored by the German Research Foundation, at the German Institute of Human Nutrition Potsdam-Rehbruecke (DIfE). 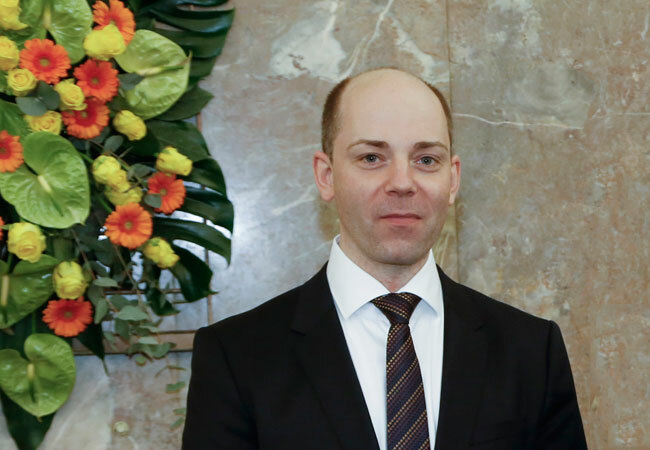 In 2016 Schulz was appointed head of the department of „Adipocyte Development and Nutrition“ at the DIfE, a partner of the German Center for Diabetes Research (DZD). At the same time he was appointed W2 professor at Potsdam University. In 2013 he was awarded a €1.5 million starting grant of the European Research Council (ERC).